The decision by the AARC to hold the Interstate Championships at the best location in each State rather than the city based course was having effect. 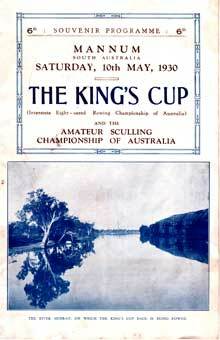 The course at Penrith in 1929 was far superior to the Parramatta River and now the Murray River far better than the Port River in Adelaide, the site of many debacles at Interstate events. 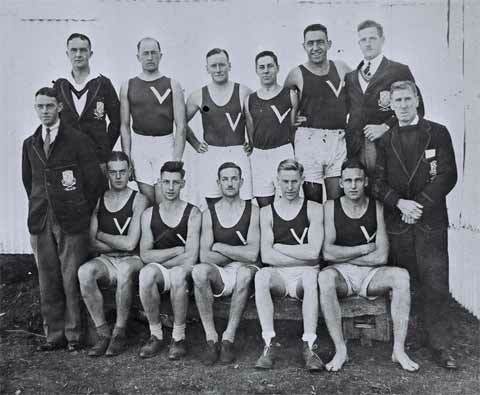 1st VIC - Bow G R B Patterson, 2 Jack H Bailey, 3 Ben S Thompson, 4 Lachlan J Thompson, 5 Jack South, 6 Douglas C Brooke, 7 Fred C Shore, Str: Cecil McKay, Cox Milton E Green, Emerg: Stanley B McGorm, Cch: Alex B Sloan, Mgr: T L Mannix, Selectors: G Anderson, W Ray B Todd & coach. 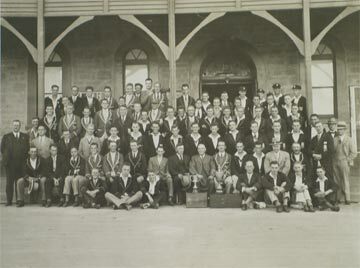 "Victoria led from the start, closely attended by Western Australia and Queensland. At the quarter mile, Victoria held a third of a length advantage from Queensland, followed closely by West Australia, with New South Wales a half a length behind West. Victoria had improved their position, and at the half mile mark led by a length from Queensland, West Australia, followed by New South Wales, Tasmania, South Australia. At this stage, it looked an easy victory for Victoria, who were gradually drawing away from Queensland. About the mile and a quarter mark, New South Wales, who were over a length and a half behind Victoria, commenced a brilliant sustained run, which gradually but surely decreased the Victorian advantage. At two miles the light blues had drawn up to within nearly half a length of Victoria and at 2 1/2 miles there was less than a third of a length between the crews. The rowing of both crews under pressure was excellent. New South Wales continued to gain slightly till within 400 yards of the finish, when a canvas was the margin for Victoria. From this stage to the finish, Victoria appeared to hold their tenacious rivals, and fully extended after the gruelling race, neither crew could increase or decrease the narrow margin that meant victory for Victoria by three feet. 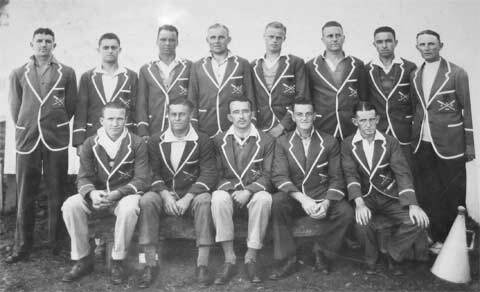 As mentioned before, the rowing of Victoria and New South Wales was of the highest order and a tribute to the respective coaches." The Starter accidentally discharged the gun after the start and thus recalled the crews by accident.